Xander Schauffele is the first rookie to win the Tour Championships since 1987. 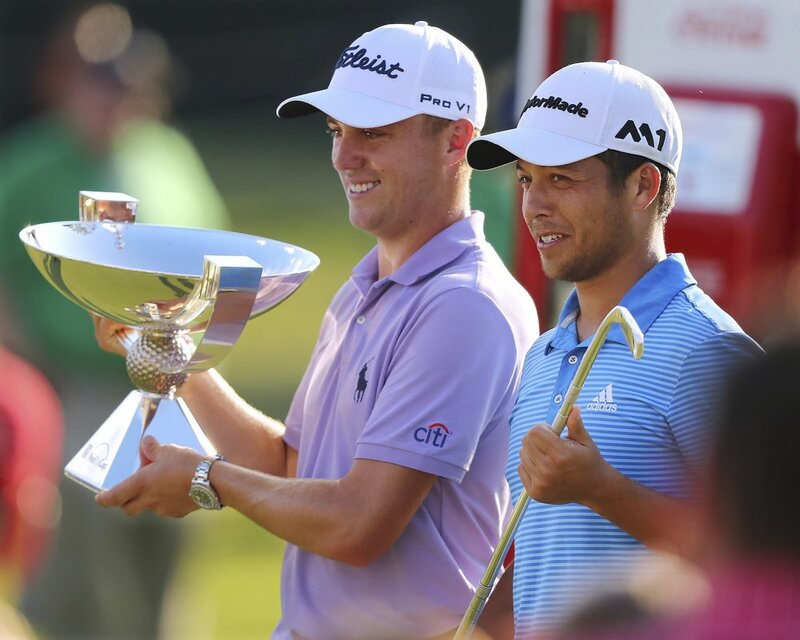 ATLANTA — Justin Thomas is the FedEx Cup champion, a surprise to no one who saw him power his way to scoring records, his first major at the PGA Championship and more PGA Tour victories than anyone this season. Schauffele, a 23-year-old rookie from San Diego who was worried about keeping his card just over three months ago, capped off an amazing summer with four par saves on the back nine when he couldn’t afford to drop a shot. He closed out his 2-under 68 by swirling in a 3-foot birdie putt for a one-shot victory over Thomas. Five shots behind to start the final round and needing to play well to have a shot at the FedEx Cup, he nearly won the Tour Championship with two late birdies, only for his 25-foot birdie on the 18th snap hard to the left in front of the cup. He shot a 66. His repeat victory in Malaysia, his sweep of Hawaii – including a 59 and the lowest 72-hole score in PGA Tour history at the Sony Open – his first major and a bold finish at East Lake carried him to a FedEx Cup title and little doubt who was the best in golf this year. It was the first time in eight years that two players celebrated at East Lake. Tiger Woods won the FedEx Cup and Phil Mickelson won the Tour Championship in 2009. A year ago, he missed his PGA Tour card by $975 on the Web.com Tour, and then earned it in a four-tournament playoff series. Go back to the first week in June, and he was No. 134 in the FedEx Cup and trying to keep his card when he qualified for the U.S. Open in a five-man playoff for two spots.